Sanno was taken out, smeared with mud, at 9.45 pm today, police said. 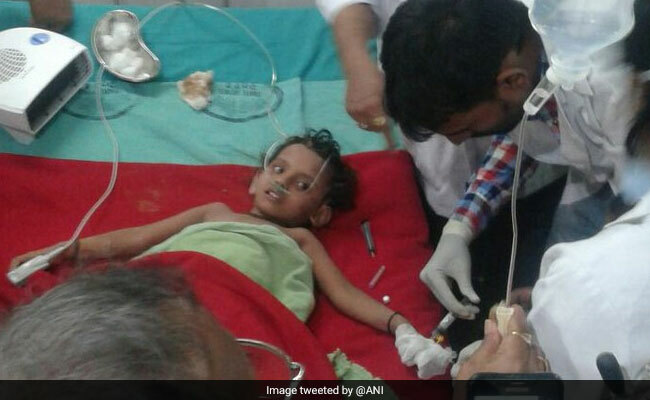 A 3-year-old girl, who had fallen into a 165 ft-deep borewell, was rescued tonight after a 30-hour long operation in Bihar's Munger district, officials said. Sanno had fallen into the shaft and got stuck at a spot around 45 feet below the surface at about 4 pm yesterday. She was taken out, smeared with mud, at 9.45 pm today, Munger Superintendent of Police Gaurav Mangla told reporters. The girl, accompanied by her parents Nachiketa Sao and Sudha Devi, was taken to the Sadar hospital in an ambulance, he said. Commissioner Pankaj Kumar Pal and DIG Jitendra Mishra were also present at the spot. Sanno had come to her maternal grandparents' place at Murgiyachak locality of the town and she fell into the borewell while playing, the SP told reporters. Some of her family members were a few yards away and they raised an alarm, he said. "Rescue work began almost instantly. A trench parallel to the shaft was dug, a little over 45 feet deep the level at which the girl was estimated to be trapped. 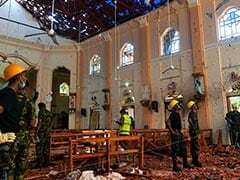 She was provided oxygen with the help of cylinders and pipes which were being handled by doctors who were pressed into service," the SP said. "We sent our team by the state government's helicopter. They did primarily two things. First, they helped the girl's mother talk to the girl inside with the help of a device. Second, a horizontal axis was carved into the trench so that the girl could be pulled out safely," Commandant, 9th Battalion NDRF Vijay Sinha, told PTI. As it began to drizzle in the evening, tarpaulin sheets were placed above the trench to prevent water from seeping as it could have jeopardised the rescue operation. Bihar Chief Minister Nitish Kumar expressed delight over the girl's rescue and congratulated all those involved in the operation. He also issued instructions for her proper treatment of the girl and prayed for her speedy recovery.